Why You Should Consider Looking For Professional Pest Control Services? Have you noticed termites or insects or pests in your property? Whether there are insects or cockroach in your property, professional pest control solutions is the right option for you. There are various measures that you can take to protect your property from any kind of insects or rodents, but professionals are the only solution to get rid of the problem. First and foremost, you should take time to analyse your property and therefore it is important to take the right action. When it comes to the pest control services, there are skilled and experienced professionals who can utilize various methods, tools and advanced tools to get rid of the rats, beds, spiders etc. Before you have decided to look for experts for termites control services in WA, there are certain aspects you should consider so that you can take care of the problem. You should check the interior and exterior of the site to make sure that the property is properly protected. In certain cases, few of the products might do the trick, but you should do a little bit of research to ensure that the kind of products are buying are quite effective. Professionals with years of experience in the same industry know what kind of methods or techniques they should use to get rid of the pesky creatures, and they will also make sure to use environment friendly creatures. 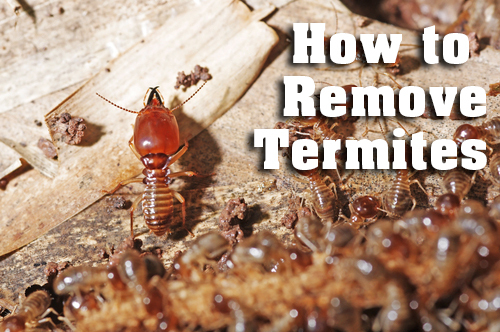 Keep all these great tips in mind to choose the best termites control services in WA. Previous PostEffective Pest Control Services: How To Find The Best One?Next PostWhy The Pest Control Experts Are Gaining Popularity?